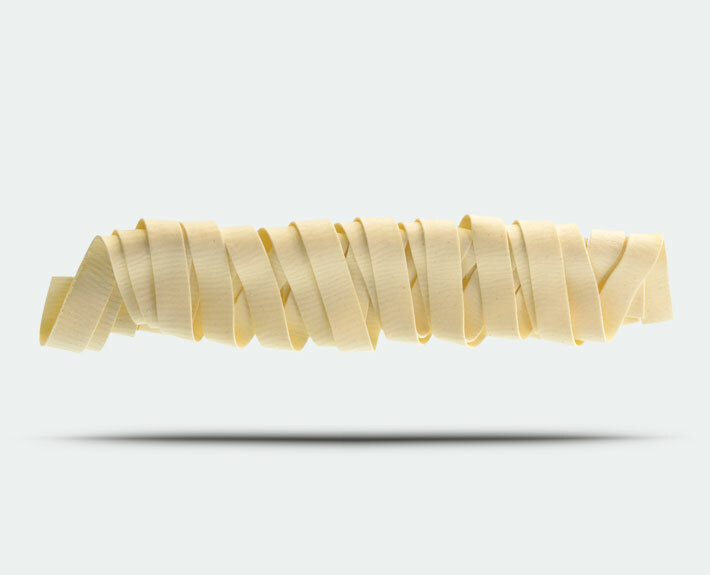 Pappardelle are originally a format of egg pasta, similar to Tagliatelle, but wider. 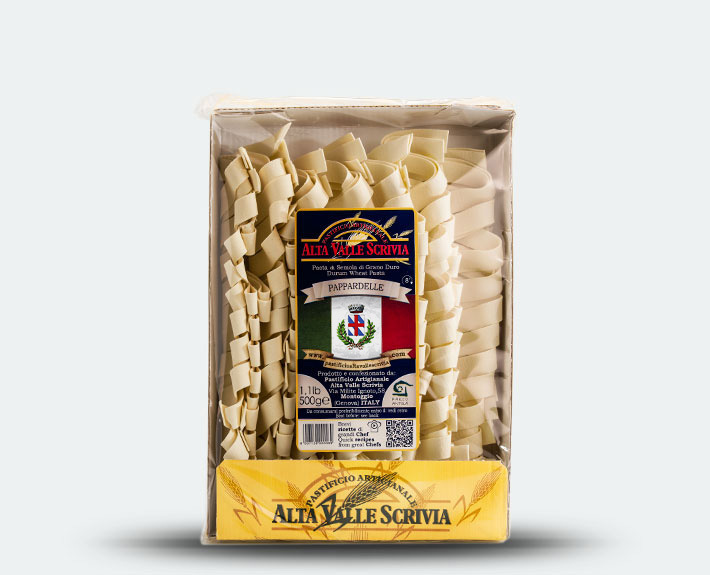 Typically traditionally a homemade pasta, the dough made from Durum wheat flour and water is rustic and are rough to the touch. Associated with full-bodied and strong flavoured sauces such as game meat, hare ,wild boar or with wild mushrooms.